Sometimes the inspiration from a night outcomes from know where sometimes it right under your nose. 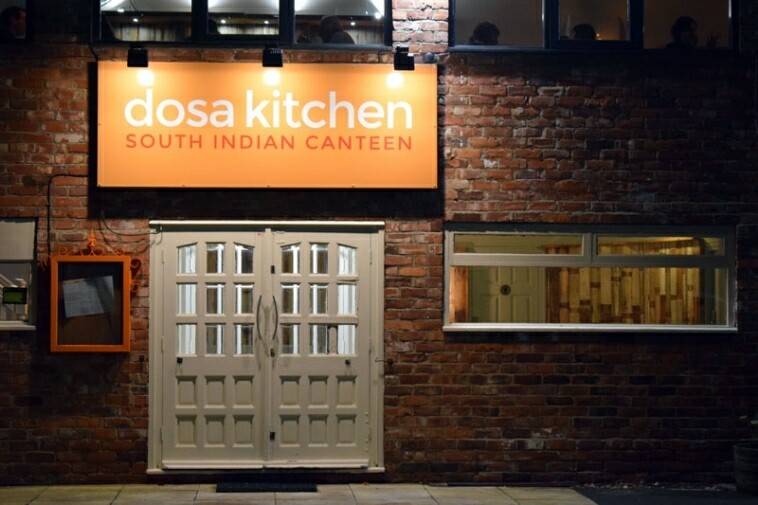 We visited Dosa Kitchen in Jesmond on their opening night. I’d been working on the signs for the kitchen and it was only upon the day of installation that I thought we should try it out. 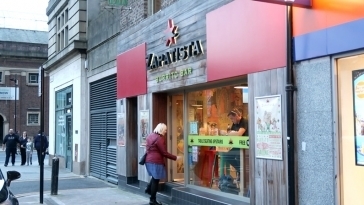 Dosa Kitchen previously existed on the West Road, Newcastle, where it resided in the Beacon Centre. I can remember reading a good review of the place and then it closed. 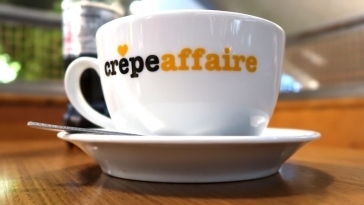 The restaurant decided it needed a bigger location and for nearly a year it had disappeared waiting for perfect premises. 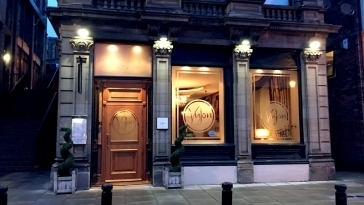 The new location is the previous Longhorns, Jesmond and before that it was Firenze. 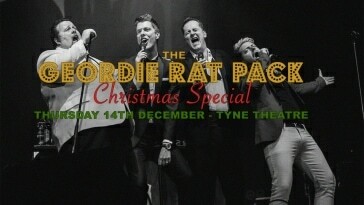 The venue is located upstairs. We’d had a tough week and it felt like we needed to just sit back and relax. We weren’t in a rush and didn’t know what to expect. The kids had already eaten at that evening’s School fayre, so if they eat anything it was up to them. 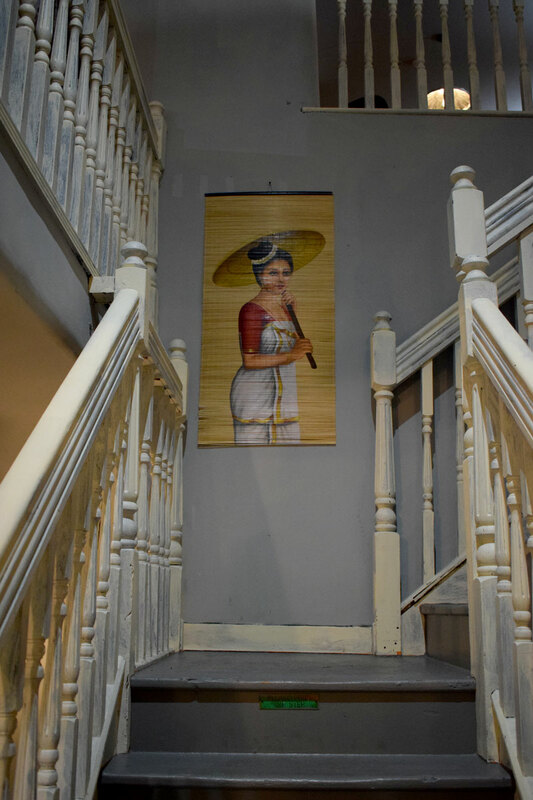 Dosa Kitchen offers a South Indian menu of food. Which also translates to a different kind of Indian meal. We looked for Korma, Chicken Tikka Masala and anything else we’d heard of for the kids. These items aren’t on the menu. It was a total adventure into the unknown. Dipping our toes in we chose 3 starters between all of us to try out, followed by 4 main courses. 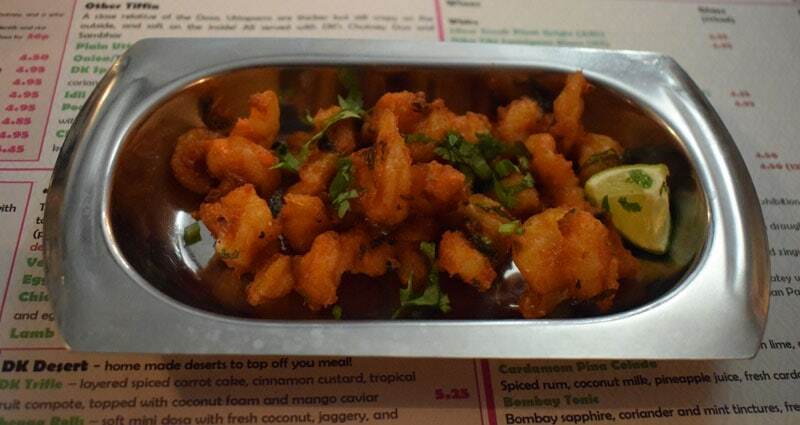 First up we chose Prawn Varuval, a spicy king prawn dish. Imogen was first to try. The prawns were marinated in a selection of spices that also had a slight chilli kick. Imogen is quite a fussy eater and we were very impressed that she dived in. And to be totally honest the chilli kick didn’t put her off reaching for more and more prawns. They were delicious and I could have eaten more. We’d heard good things about the Gobi 65, so had to try that too. The Gobi 65 is a crispy fried cauliflower dish made with a secret DK 65 mix of spices. 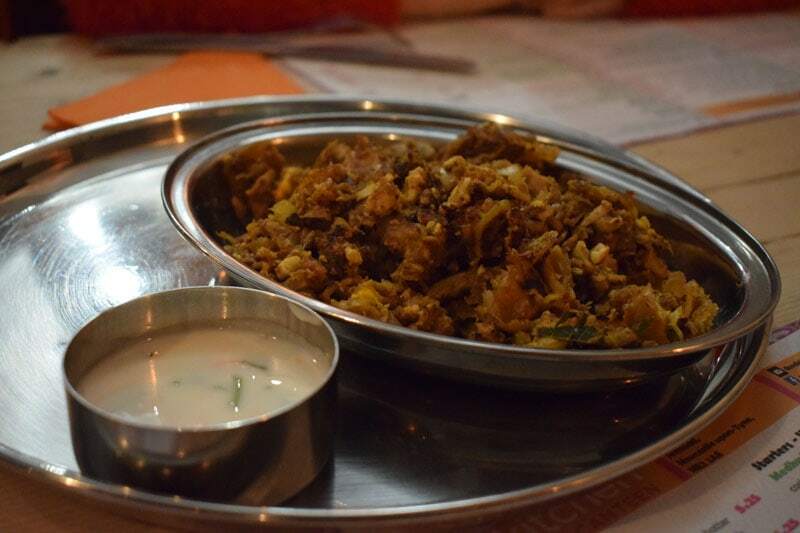 We’d had cauliflower at the Funky Indian earlier this year and had been surprised at the flavour. The normally mild or watery vegetable can be invigorated to become as appetizing as a meat equivalent. There was a spicy kick to this one too. 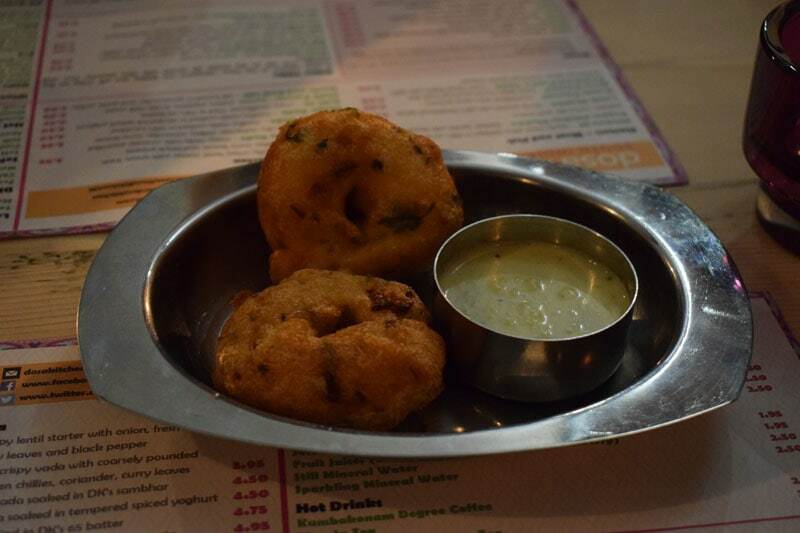 Our Last starter was the Medhu Vada. The best way to describe these is a lentil and onion doughnut thing. The doughnuts were very light and fluffy, but in comparison to the spiced previous dishes was very mild. All our starters were new to us and we enjoyed this new experience. 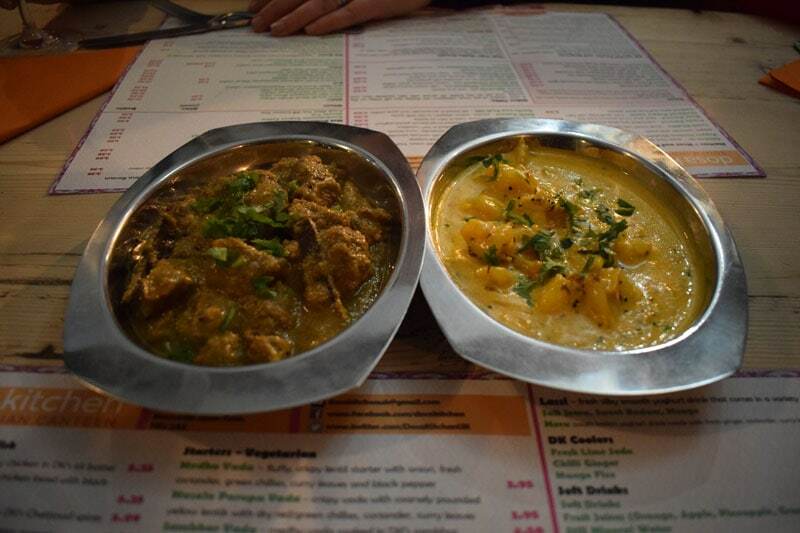 Spotting a potential curry option we ordered Lamb Nilgiri Kuruma and Chicken Chetinad Masala. Although I didn’t spot an option for any rice (It’s not that sort of Indian Meal I remind myself). Looking for what could be the mildest item on the menu we ordered Chicken Tuk Tuk for the kids. The menu says that you can choose your own spice level. We opted for mild. Although I had missed that the Tuk Tuk is prepared with onions, chillies and Sallna. I dived in first and the dish reminded me of Aromatic Duck. It was shredded meat with a starchy mixture. It was tasty and had a familiar kick to it. I wasn’t too sure of the accompanying sauce in the dish but stand alone it works well. 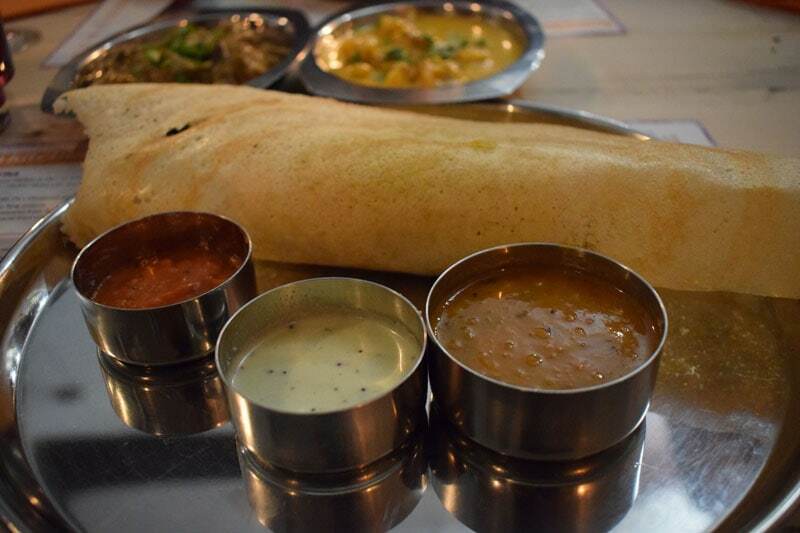 Finally, we could not visit the Dosa Kitchen without trying a Dosa. We opted for the Dosa Masala. This was a crisp dosa filled with a potato masala. There were 3 dipping sauces. A spicy Onion and tomato relish, a coconut Chutney and a special DK chutney. They looked familiar, but it wasn’t. I thought popadoms and mango chutney. The Dosa tastes sort of like a sweet crisp crépe. The inside stuffing consisted of a mildly spiced potato mix similar to a saag aloo, without the saag. As it was opening night the venue was packed. There was also a slight delay issue from the kitchen, but I think this was due to it being new and packed. We weren’t in a rush so this didn’t concern us. I love going out and experiencing new things and tonight was definitely one of those. There is nothing on the menu that we’d seen before (OK I did see Biriyani mentioned). For us this was fine, but with fussy kids, it became more of a task. The waiting staff were very helpful and answered all our questions and even asked in the kitchen to try and aid out children’s choices. 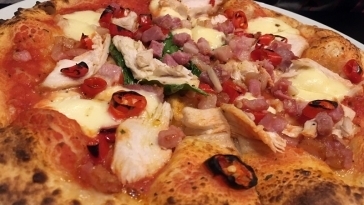 Everything is full of flavour and I’d definitely return for a second visit. 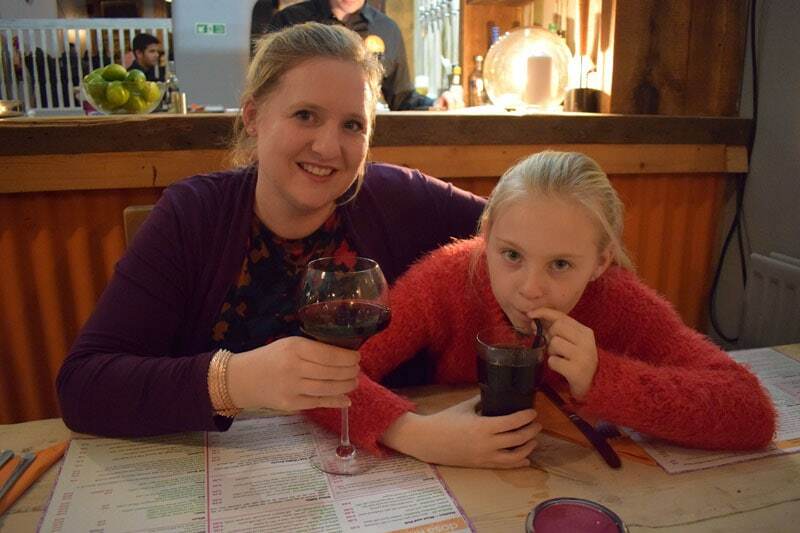 Next time we’d leave the kids with their grandparents and really have a relaxed night out. Price wise it wasn’t expensive. 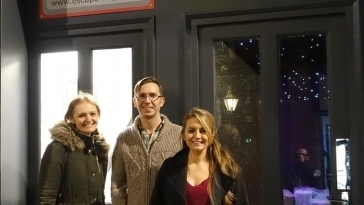 We had 7 dishes, 4 cokes, a cocktail, a Bottle of wine and the bill came to just over £65. 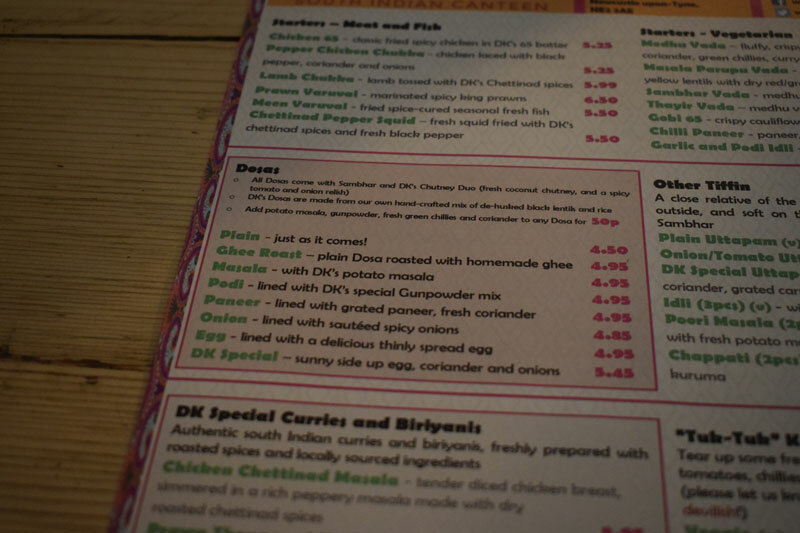 If you’ve been to Dosa Kitchen, let me know what your favourite dishes were like. I’d definitely try out your recommendations next time around.